Do you enjoy listen to podcasts as we do? Podcasts are an easy way to listen and learn while you're doing more important things like coding, drinking, loving or doing all the same time. It seems for every theme in the world there is a podcast, and the MSX is no different, as there are a lot of MSX-related episodes out there, too. We've shared some random episodes down below, and hope to grow the list further with your suggestions! Please let us know in the comments, which of these you like or don't, which ones we've missed, and what you expect from an MSX podcast! Press play on tape: Episode 05: "A master class in MSX"
Retro Game Audio: MSX Computers featuring ImaTrackMan, talking about all the various audio chips on/for the MSX, complete with example tracks for each. 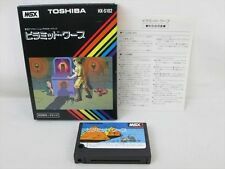 Pouco Pixel episode 57: "Achei: MSX"
The RetrohitzMusic soundtracks being executed, many of came from MSX. The Repórter RetroNews regarding the retrocomputing world... And many of them are MSX-related! Retroactivo (several of them are MSX related). Currently listening to the Press Play On Tape episode with Electric Adventures. Gotta give Tony a friendly slap on the wrist for basically calling Philips a company of German origin, while Koninklijke (Royal) Philips N.V. is a Dutch technology company headquartered in Amsterdam, and founded in Eindhoven in 1891, by Gerard Philips and his father Frederik. Personally I find it hard to listen to a podcast while doing something else though... It easily fades to the background for me, especially when there's also music, and I can eventually suddenly find myself at the end of the podcast, without knowing what the heck was being talked about in the past half hour or so. For the same reason audio books don't quite work for me. It's also a quite recent episode, from December 2017, and they were talking about doing a separate episode about SCC in the future, so that's one to keep an eye out for. Mostly by actually focusing on them, without doing much else in the mean time. Being on the MSX episode was very fun. We tried recording as much as we could from hardware as possible (which is evident when you listen to some recordings as you can hear the mains hum) so we could have true, real audio examples of the chips on the MSX. Everything PSG, OPLL, and Moonsound was recorded on hardware. Some SCC tracks were emulated though, because we couldn’t find a reliable way of recording the soundtracks at the time. It wasn’t until later that we found a disk containing the soundtracks of all non-Game Collection games and we’ll be using that for the SCC episode. As is stated in the start of the episode, Patrick sat out during production and researching so it was largely down to Steve and I to make everything happen. It was mostly because Steve and I both had actual MSX hardware that it was easy for us to make this without too much trouble, I have every MSX sound chip besides MSX-Audio and an original FM-PAC, but my XDJ has -Music built in and Steve owns an FM-PAC and a WSX. This ended up being great because it meant we could do a side-by-side comparison between different implementations of MSX-Music in case someone wanted to find an option they liked best. Then there are mistakes and corrections. Late in the episode, they mention Illusion City uses PCM for some of its drums, when this is obviously incorrect. Of course, I knew this beforehand but it never dawned on me how serious of a mistake this was. The surprise you hear in my voice is genuine because that was the first I’d ever heard of that (since it’s incorrect), but I later went back and corrected the error in the comments. Then, early in the episode. I briefly talk about MSXes with stereo and mention a Casio (I think) and give a specific model number, when in reality I was specifically thinking of the Toshiba HX-20. I also corrected this in the comments later. Afterward, to show off PSG stereo we played an example song from a Spectrum game on hardware from my XDJ. How? The game files have .pt3 sources, so I was able to find them, rework them for 60 Hz, and record the three channels separately with PT3PLAY and recombine them as a stereo recording. And finally, the SCC gloss-over. Doing this episode we realized that the SCC is really the only chip people seem to really care about (and I don’t mean that in a bad way). There’s SO much information available about it that if we were to include it in the episode, it’d be another two hours long, so we decided we’d rightfully dedicate those hours to it. There are some things we don’t know about it yet though, like how similar it is to the 2-channel arcade version in games like Twinbee, how many arcade games it was used in as the “proper” SCC (I only know about one), and how the deformation/rotation/test/etc. register works on the SCC+. Hopefully we’ll find all of that out for its episode so everyone can hear some news about our favorite expansion chip. Thanks for sharing your experiences and thoughts ImATrackMan! I just finished listening to the last part of the episode, and I definitely enjoyed it. It was great listening to the various examples side by side. Please let us know when you know the SCC episode will be online, or when anything else MSX is discussed! Would be nice perhaps if the SCC episode would for instance also gloss over the various trackers and replayers that have been created for the system, since that was an aspect I felt was missing a bit from this one. 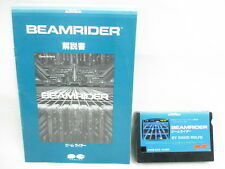 I don’t know much about the 2-channel arcade ones either. I do know that I could barely make out an SCC sound in those tracks last I listened to them on Youtube. Perhaps MAME source codes shed some light on it. Hexion does use the SCC proper though (and quite a catchy tune, though the VGM recording is too slow unfortunately, needs to be updated). Deformation / rotation / test afaik don’t really have many interesting sonic applications. One of the bits resets the phase, which seems mostly useful to ensure the waves stay locked in the same phase whenever you play a song, then again they could easily drift out of phase again so not sure how useful that actually is. Or maybe to drive a CPU-controlled sync effect, but that takes a lot of CPU power, is difficult to time, and affects all channels at once (I think), so yeah… not super useful. I got this odd glitch in TT once where something was generating pitchable, stable white noise on CH4/5. I recorded it briefly, because it’s very hard to replicate. I was hoping there was a tool somewhere or that someone could make one to play around with this, especially on the SCC+ to see if it’s also 4/5, just 4, just 5, or any channel. I want to be able to recreate SCC noise somehow, because while it may not be particularly useful, I think it would be important to include talking about this potential accidental feature since most people who aren’t super into MSX (who somehow exist) don’t know about it, but I think that’s best served for its own thread. @FiXato, One of the things they do during an episode is play a modern example from each of the chips used, so for the SCC that’ll be things like homebrew tunes made in MusicA, TT, MGSDRV, and games like The Goonies r Good Enough, Vampire Killer SCC, and others. Trackers and replayers will very likely be discussed as well. Really enjoyed this, ofcourse. I do have some remarks and additions. The comparison with AY to SN was fair, but apart from the 'missing' lower frequency section in the SN, another important difference that wasn't mentioned is that AY has 32 noise frequency increments (0-31) and SN has only 3 (low, mid and high). Apart from the "Jungle Theme", Metal Gear NES also has a different "Indoor Theme". For the rest, the soundtracks are the same. The soundtrack of "Starship Rendezvous" does actually also use the PSG for melodic purposes, not just percussion. Apart from "Starship Rendezvous", another software that uses the 9-channel setting of the OPLL is "Valis II". It only uses 8 of them, though. It would be reasonable to suspect the free channel being reserved for sound effects, but actually, it is not used at all in the game. I kind of missed even a brief mention of MB-Stereo, meaning combining of OPL and OPLL. To be honest, I find that more relevant than the theorizing about piling up a bunch of chips which follows. Illusion City does not use the PCM for music at all. It is just extremely clever use of the OPLL+PSG. The percussion is mentioned in this context. For instance, the snaredrum sounds so full because it consists of no less than 2 OPLL drum channels and 1 PSG channel combined. I get the remark about creators of Moonsound music not knowing what to do with suddenly having 24 channels and I more or less subscribe to that observation. However, I felt only playing a re-arrangement of an Ys song (that uses older chip generations that the OPL4 is simply compatible with) for an example doesn't do justice to the efforts that were done on the chip. I'd like to cite the soundtrack of "Sonyc" as an example. I don't get what's so weird and/or hilarious about the construction under which Moonsound cartridges were produced and sold, but maybe that's just because it was a normal situation to us. I've seen scene-produced add-ons to improve graphics or sound for other platforms as well. Are those strange and funny, too? Looking forward to the podcast focused on the SCC that was announced! 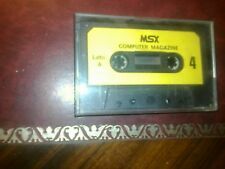 The Retrohitz podcast, where we have music soundtracks being executed... And there are many of them which came from MSX. The Repórter Retro podcast, where we talk about news regarding the retrocomputing world... And many of them are MSX-related! Thanx rjp! I noticed there are a lot of portuguese and spanish spoken retro podcasts out there, but for me it is hard to decide which ones are relevant to our system. So thank you and don´t hesitate to complete this list whenever you found other interesting podcasts! Added a couple of Spanish podcasts sites to the list. Looks that Conexión MSX Podcast is not on the list as its first program appeared on February 11th 2018.